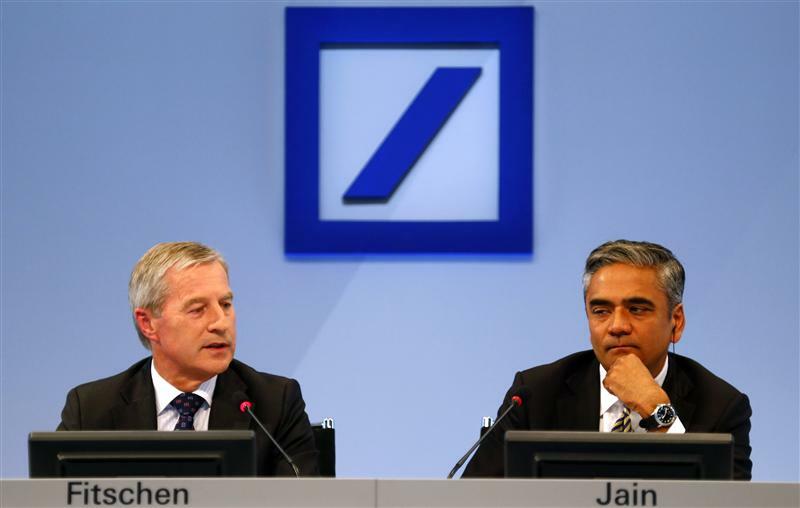 Joint bosses Anshu Jain and Juergen Fitschen are being replaced by ex-UBS CFO John Cryan. It’s oddly timed, but logical after poor results, scandals and rising investor ire. Cryan, though, needs to swiftly fill in the gaps of a questionable strategy that isn’t entirely his own. Supervisory board chairman Paul Achleitner said Jain and Fitschen’s decision to step down early demonstrated their attitude of putting the bank’s interests ahead of their own. Jain said that it had been a privilege to lead the bank and that in his time as CEO he and Fitschen had boosted capital, reduced exposures and risk and invested significantly in technology, control and compliance capabilities, as well as keeping clients happy and revenue growing. Jain added that Strategy 2020, Deutsche’s new strategic plan unveiled in April, meant that the bank’s future was on a strong track. Cryan was president for Europe at Singaporean investment firm Temasek between 2012 and 2014, and before that chief financial officer of UBS between 2008 and 2011.